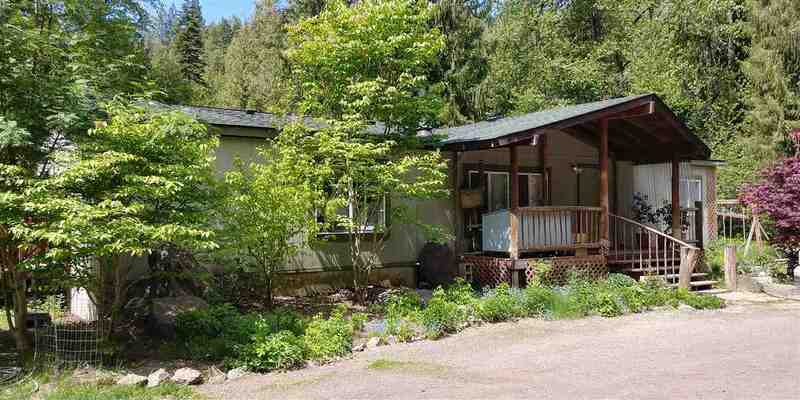 18419 N Thompson Creek Rd Newman Lake, WA. | MLS# 201717132 | Cooper Realty Services (509) 599-1111 | Spokane WA Real Estate | Contact us to request more information about our Homes for Sale in the Spokane WA area. Ready to Show!! Fantastic Setting and opportunity 650 fishable ft of Thompson Creek runs through 10 acres of privacy. Nice 4 br 2 bth double wide and 32x44 shop and/or 2nd Home. Shop upper has 3BR apartment already livable. Could be fully converted to aprox 2800 sq ft Cape Cod Style Home or 1400 sq ft upstairs and parking and living sq ft under. Shop was built with full concrete foundation for conversion to home. Great well and irrig from creek. 2 miles to Newman Lake and 7 Miles to Trent Ave. Don&apos;t Miss! Selling Office: Tct Real Estate, Inc.